"No car as fast is as luxurious - and no car as luxurious is as fast"
The previous 928 S4 model established the 928 as the fastest volume production car in the world. It's still one of the very fastest cars around and can happily cruise at over 150 MPH all day long, (if only there were somewhere in the US where you could legally or practically do this...). 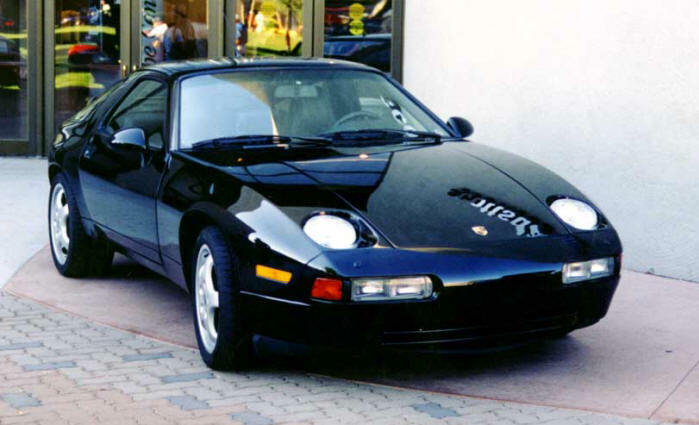 The 928 model was launched in In 1978 and that year it was named "European Car of the Year" the first time this honor was awarded to a sports car. Fast forward 15 years to the last and greatest 928 model built - the 928 GTS. 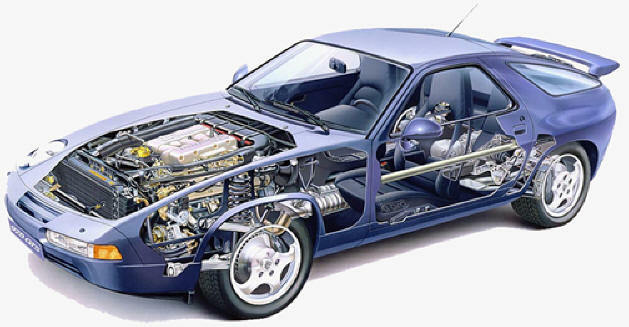 When the 928 was launched as the flagship model in the Porsche lineup it was not very well received by Porsche purists who thought all Porsches should be small, rear engined and air cooled. Although successful enough at attracting new luxury car buyers to the Porsche brand - an initial lack of interest in used models from enthusiasts meant many cars were sold cheaply and yet the high costs of maintenance (it's still a supercar!) meant that sadly many 928's were not well looked after and are beyond recovery today. Now that all new Porsche models are water cooled and Porsche's move into SUV's is now the major complaint of the purists - the 928 has taken its right-full place amongst the storied Porsche family lineup. Even die hard 911 fans now concede it was always a great car - not a replacement for a 911, No!, it was always complementary and in a different market segment of performance and comfort - a real long distance GT cruiser. "The 5.4-liter GTS with 350 horsepower, is probably the best production Porsche ever made, and possibly even now the best GT coupe ever produced"
I purchased my car in April 2000 in Evansville, Indiana after hunting for the right car for 3 years. 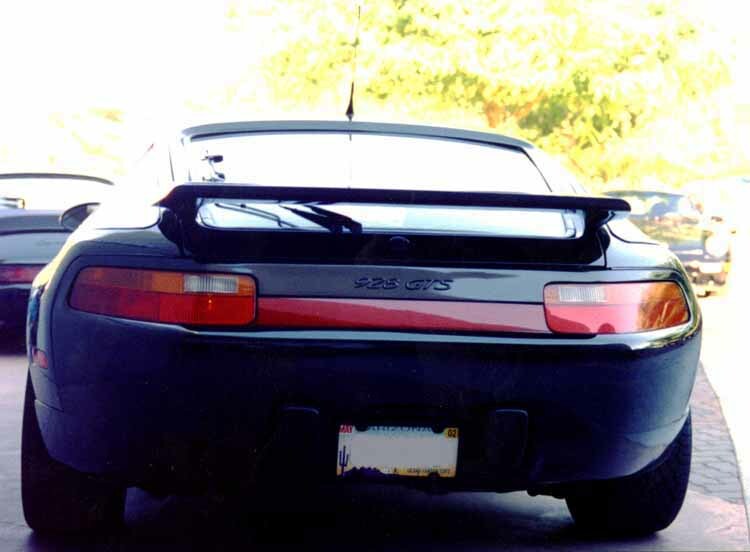 For a Porsche 928 GTS you have to be ready to travel to where the cars are since there were only about 410 GTS's ever imported into the USA (only 140 in 1994 model year). I spent several years getting the car into top mechanical shape - catching up on some lapsed or poor maintenance.